Biggest fantasy sports gaming platform. One of the biggest fantasy sports gaming platform WorldTeam11 is adding thousands of users by each passing day, having expertise in Fantasy Cricket, WorldTeam11 is winning millions of hearts. It makes every Indian sports fans more skillful by letting them use their sports knowledge turning it into a rewarding endeavor. A Participant may create different Teams for participation in Contest(s) in relation to a Sport Event across WorldTeam11 Services. However, unless WorldTeam11 specifies otherwise in relation to any Contest ,Participants acknowledge and agree that they may enter only one Team in any Contest offered in relation to Event. WorldTeam11 is the World No 1 Fantasy Sports platform where you can win real cash legally. Your withdrawals on WorldTeam11 involve transfer of money from your WorldTeam11 account to your bank account, and hence PAN Card has become a mandatory requirement as a proof of identity. Get wining amount directly to your own bank account in few steps. WorldTeam11 provides online fantasy gaming system where you can play with your friends worldwide. It is based on on-going cricket tournaments. WorldTeam11 has gradually become main source of earning for millions of users and is one of the best application to play and earn. Just create your own team of 11 players and start playing fantasy cricket!! 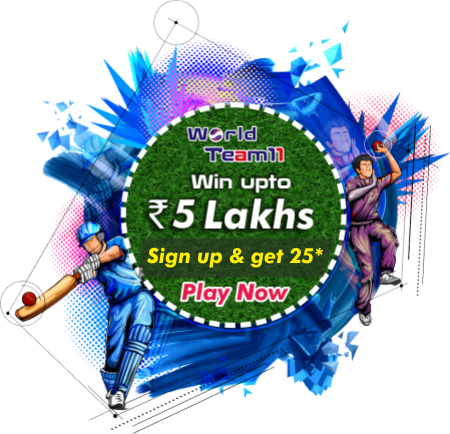 A Worldteam11 is a perfect platform for fantasy cricket lovers to showcase their skill. Nice user interface and quick response. Just installed this brilliant application. Absolutely stunning. I will recommend this to everyone. Love the appearance of the application. Very user-friendly and easy to understand. Functionalities are properly aligned. Withdrwals are really quick unlike other applications. My view about WorldTeam11 - WorldTeam11 is a battlefield for fantasy cricket lovers to fight for your glory and to prove themselves. 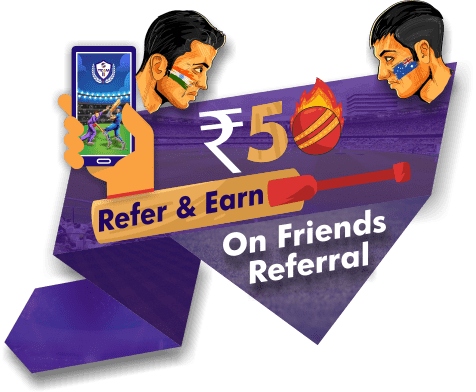 Worldteam11 is a very good application where we can use our cricketing and analytical knowledge to earn rewards.